I have been a patient for two years now and I will never go to a different doctor. Love, love, loveDr. Ho she is the best! I have been a patient for two years now and I will never go to a different doctor. Love, love, love Dr. Ho she is the best! Orlando Health Clinic provides quality medical services when you are ill, in pain, or simply in a hurry. We have the best board-certified physicians and clinicians whose top priority is to provide our patients with the best medical attention from a compassionate stance. At Orlando Health Clinic, there is no reason to wait days or weeks to see your primary care physician or to go to the emergency department for non-life-threatening conditions. We welcome all walk-ins and no appointment is necessary. Visit Orlando Health Clinic and you will be seen within minutes, not hours. She's a very great doctor really cares about her patients and the staff is always nice . She's always thorough yet doesn't dawdle! My only complaint is that the office was a bit warm today, and the parking lot is ALWAYS full. Definitely need to expand parking to accommodate so many patients!!! Went in for an annual physical and she did nothing basically. Only took my temperature and blood pressure. Horrible money hungry dr.
Dr. Ho, was Nice very Gentle voice takes time to listen to complaints of pain, any referral you may need etc... She introduced herself I was a new patient I HIGHLY RECOMMEND DR. HO! My wait out in the waiting room to check-in was very short. I was taken back, had my vitals taken, and put in a room within 30 minutes of arriving. I waited in my exam room for almost an hour beforethe Dr. came in. She is very friendly and made me feel comfortable around her. Also, her prices are very good. 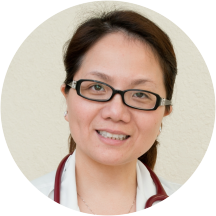 Dr. Ho is always so efficient and friendly, and goes out of her way to listen no matter what the problem is. I appreciate her dedication and the quality of treatment I receive every time I'm there. ok but not great. she made me feel uncomfortable by acting suspicious of me when I asked her to help me with prescription refills that I had been taking for years. I only went once and found a new doctor. Not bad but not great. For a 5 minute conversation with doctor, I waited almost 2 hours. I wouldn’t refer others since most I know are extremely busy & would have to take half day off for a visit. This is my 2nd time & waiton first visit was the same amount of time. I do like the staff but overall waiting is just not worth it for those that have to take time away from work. Very friendly and easy to talk to. Knowledgeable and helpful. Dr. Ho always makes me feel comforted and is extremely professional. She treats patients like family!! As always lovely people and wonderful doctor. They were super bysy that day and yet still everyone was curteous and helpful. The appointment I had with dr. Ho was great,everyone was very attentive and professional I would definitely recommend going to see her! I thoroughly enjoyed my visit. Very nice staff and professional. Dr.Ho was the first doctor that I've been to in YEARS that actually listened to what was going on and was able to correctly diagnose the problem. She was wonderful and made sure I was aware of every option I hadmoving forward with my chronic illness. I would definitely recommend her, she's by far the best doctor I've ever seen! doctor was ok but wasn't a thorough examination and not sure if the diagnosis is correct. Doctor spent less than five minutes with me. Why are people paying money for a doctor to diagnose them in a few minutes. Won't be going back to this place. Dr. Ho was attentive , kind and courteous as always. She stopped after the appointment to make sure the Rx order was faxed properly to my pharmacy because I couldn't get my medicine at which time she fixed the problem rightthen and there. I'm super greatful for this personalized concern fo me. She's hands-down the best doctor I've ever had. She's not just in this to run a business - she's in it to really and truly help people. Dr. Angel Ho is quite the angel indeed. Friendly, make you feel comfortable and seems to genuinely care. Everyone was very courteous & professional. Dr. Ho took time with me, listened, and answered all my questions. I didn't feel like she was rushing me off to see anyone else. It was a pleasant first time visit. Great experience. Quick, efficient, and worked hard to understand everything I needed. Absolutely fantastic!! Dr. Ho and her staff were very kind and attentive. I would absolutely recommend their office. Nice and professional staffs. Great doctor. When I got to the building it looked run down. The inside was an house converted into an medical office. Seating area was okay and the receptionist were quick to get the paperwork done and notified me of my copay. Iwaited few minutes and was taken to a data collection station. Then moved to the exam room. While I was inside I could hear conversations which was not in English but included English words with my symptoms. When the doctor arrived she didn't even examine me and used one of those miniature lights on keychain to check my throat. Basically gave me the diagnosis that I told her I was suspecting. What a waste of time and effort to travel to this place. Pretty scary woman- definitely difficult to understand. Wrote me a prescription for birth control and although she's not an OBGYN, she told me she could give me a pap smear. That didn't make me feel comfortable. She was weird about whatmy insurance would/wouldn't cover and pressured her front desk girls. Pleasant, addressed my concerns, and listened. Great office staff. The office staff was very nice and friendly. Dr. Ho was personable, knowledgeable, asked me several questions regarding my medical history and made good recommendations. I would recommend this office if you are looking for a good physician. New patient, so very quick visit. Gave me the referrals I needed for exams. Staff was super friendly. Very pleased with this doctor and her staff, quick response and very accommodating. First visit with them and very well pleased of their services.